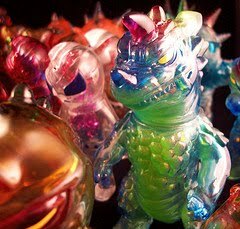 ← More Kaiju Comrades 2 Creations ! 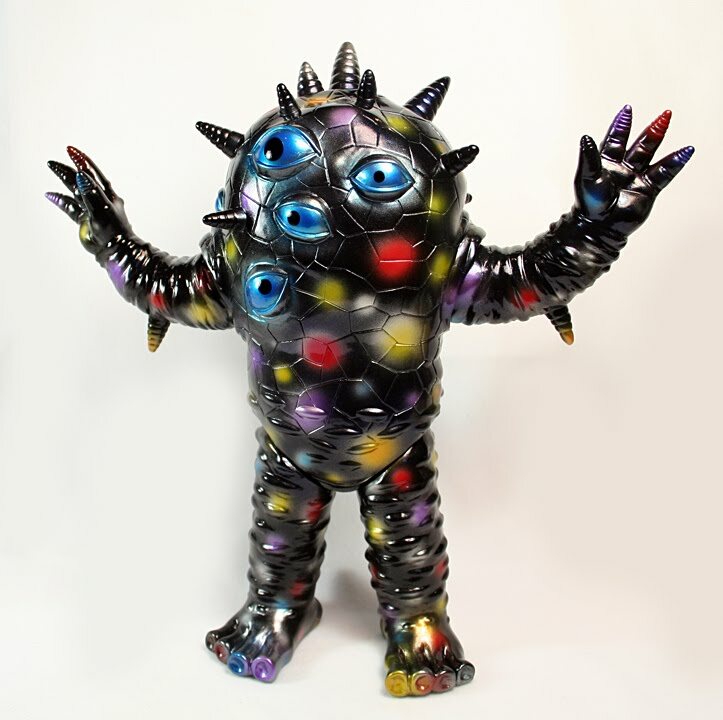 Monster Kolor by Dead Presidents Designs !!! Customizing toys is a fairly recent thing in the toy world. From making your own Lego Mini figs or creating your own an unproduced action figure, a big part of this scene is the paint you use. 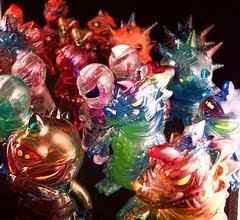 For me, since I produce and customize soft vinyl figures, I’ve used a Japanese product called V Color. It took awhile for me to get the feel of this product but it is one of the top hobby paints for these types of figures. Besides the learning curve, the V Color is expensive and is only sold in Japan. The other downside is the range of colors is fairly limited and a nice glossy clear coat is not available. So along comes Matt Walker of Dead Presidents Designs and it only took one look at his work to show me the future of customizing. 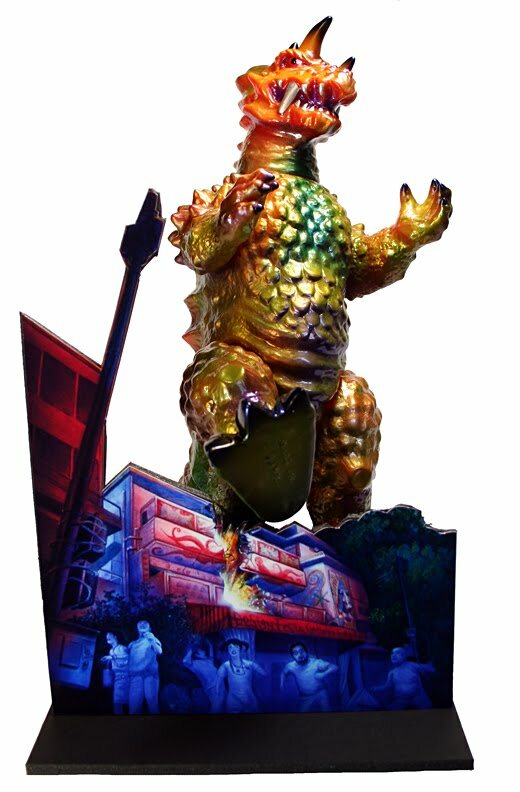 He’s not using V Color .. but high end paints that when applied to Kaiju make them stand out. 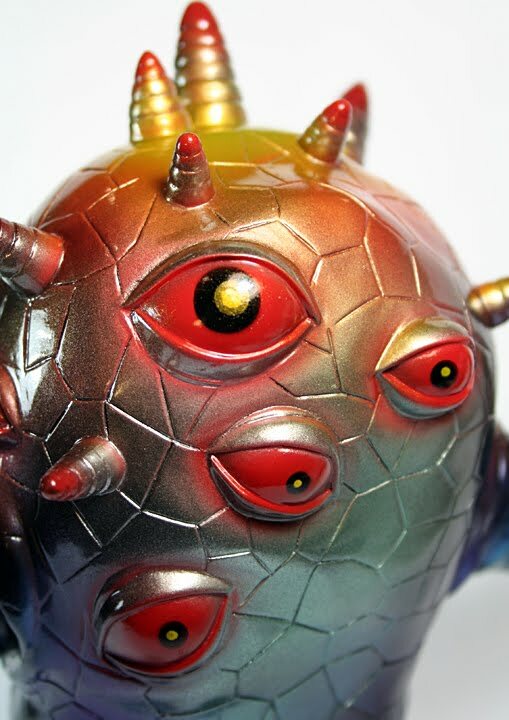 I’m a big fan of Matt’s work .. so when he told me of his plans to bust out his own paint line and if I would be willing to try them, “geez, heck ya !” is all i said.. below are some initial tries using Matt’s new paint line called Monster Kolor !! photos can not really pick up the Pearl effect in the paints, but in person they shine and shimmer in the light ! Monster Kolor comes ready to use, no pre mixing is needed, just pour right into your airbrush and your good to go ! Also for those who still have V Color ( as I do ! ) I found no problems mixing and applying the paints together. And don’t get me started on the Clear Gloss coating .. it’s amazing and when applied makes all the colors “POP” ! Matt has plans for transparent paints, normal paints ( ie no flakes ) and more … all i can say is buy a set and try it .. I think you will agree that these paints are awesome ! I have made my transition to using Monster Kolors exclusively and I think once you see my work in person as well as others who will be using the paints you will see the difference in our work ! Below are Matt’s paints on my minis .. oh man , they look like candy !